One person is reported dead and five others suffered critical injuries following a fatal accident that occurred late in the evening yesterday September 6 in Wikombe village Naboa Sub-county of Budaka District along the Mbale-Tirinyi highway. 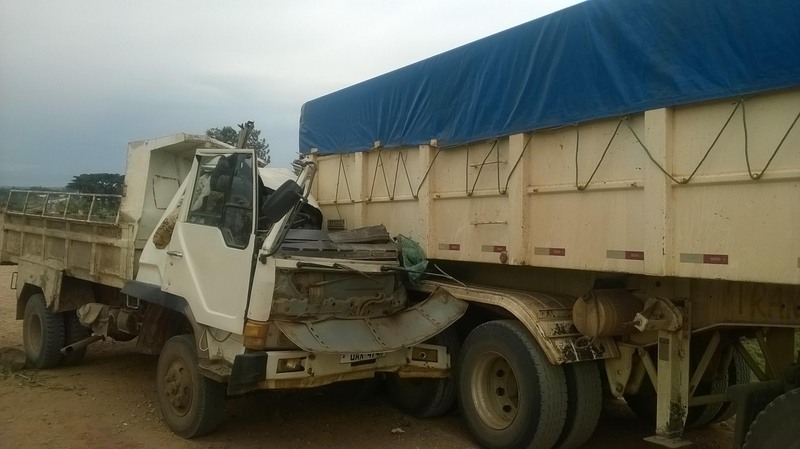 The deceased, Patrick Kirya breathed his last when a tipper lorry registration number UAX 474H carrying sand rammed into a Kampala Cement truck registration number UAU 733K. The tipper driver is believed to have been blinded by the cloud of dust raised by a speeding Y.Y Bus that was heading to Mbale. Angry locals block the road near the crash site. Photo by Arthur Wadero. The injured, Geoffrey Ssabakaki, Kirya Kayanja, Kyukla Sabali, Michael Wandera and the tipper driver only identified as Silva were rushed to Mbale Regional Referral Hospital. 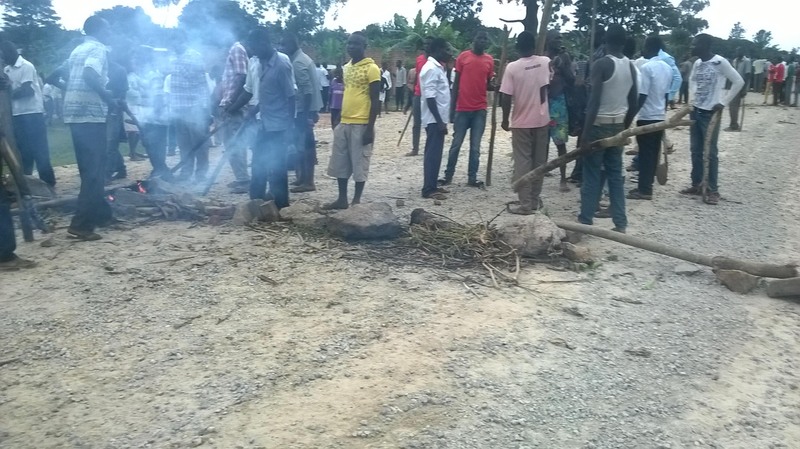 Traffic was paralysed around Wikombe village as angry locals piled rocks and lit bonfires on the road whose deplorable condition has been the subject of protest by area MPs in recent days. 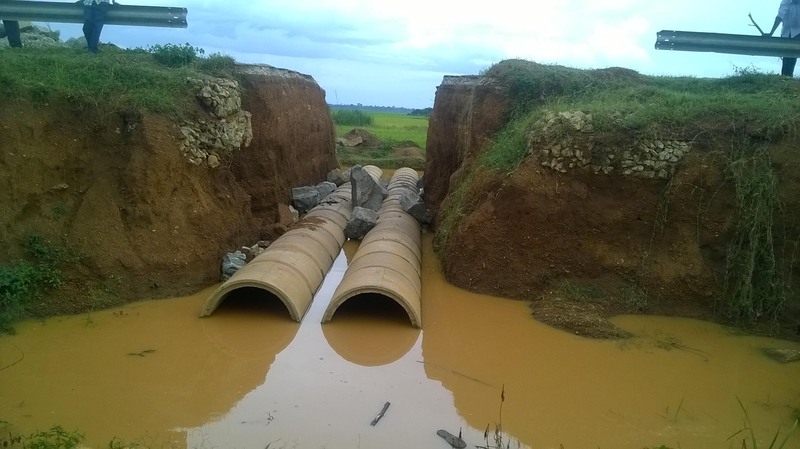 Incomplete works on the Mbale-Tirinyi highway. Locals blame UNRA for abandoning the road which has since turned into a death trap for motorists. Photo by Arthur Wadero. Police from both Mbale and Budaka was denied access to the accident scene by the exceedingly furious Budaka residents. The sorry accident came just two days after MPs from eastern Uganda staged a protest along the same place demanding that Uganda National Roads Authority expeditiously work on it as it has since turned into a death trap claiming lives.